Dr. John Harte holds a joint pro­fes­sor­ship in the Energy and Resources Group and the Ecosys­tem Sci­ences Divi­sion of the Col­lege of Nat­ural Resources at the University of California at Berkeley. He received his PhD in Theoretical Physics at the University of Wisconsin. He completed a National Science Foundation Postdoctoral Fellowship at CERN in Geneva and a Post­doc­toral Fel­lowship at the Uni­ver­sity of Cal­i­for­nia. He served on the faculty at Yale University before accepting a position at UC Berkeley. John has received many awards and honors during his career, including elected fellowship to the Amer­i­can Phys­i­cal Soci­ety and the California Academy of Sciences, a Pew Schol­ars Prize in Con­ser­va­tion and the Envi­ron­ment, a Guggen­heim Fel­low­ship, Phi Beta Kappa and University of Colorado Dis­tin­guished Lec­tureships, the Leo Szi­lard prize from the Amer­i­can Phys­i­cal Soci­ety, the UC Berke­ley Grad­u­ate Men­tor­ship Award, a Miller Pro­fes­sor­ship, and a George Polk award in investigative journalism. John is here with us today to tell us about his journey through life and science. 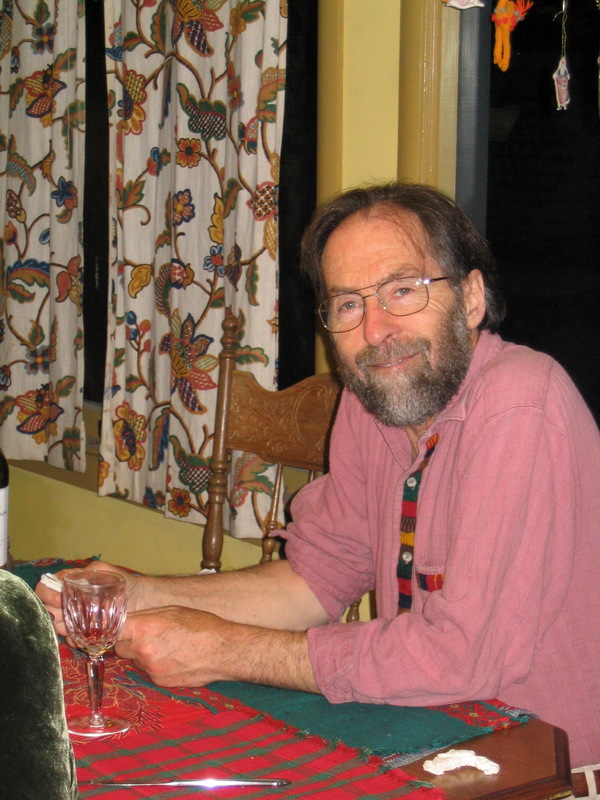 John Harte is a physicist turned ecologist. His research interests span ecological field research, the theory of complex systems, and policy analysis. Current interests include applying insights from information theory to the analysis of complex ecosystems and empirical investigation of climate-ecosystem feedback dynamics. The Harte lab studies the effects of human actions on, and the linkages among, biogeochemical processes, ecosystem structure and function, biodiversity, and climate. Research spans a range of scales from plot to landscape to global, and utilizes field investigations and mathematical modeling. A long term goal of the group is to understand the dependence of human well being on the health of ecosystem processes. John was Assis­tant Pro­fes­sor of Physics at Yale Uni­ver­sity for 5 years before coming to UC Berkeley, and he has been at Berke­ley since 1973. John has served on six National Acad­emy of Sci­ences Com­mit­tees and has authored over 200 sci­en­tific pub­li­ca­tions, includ­ing seven books, on top­ics includ­ing bio­di­ver­sity, cli­mate change, bio­geo­chemistry, and energy and water resources. His book “Consider a Spherical Cow” is a widely used textbook on environmental modeling.